A passenger uses her Ventra card to pay for a ride on the CTA. The transit system plans to fully transition to the payment system by July. When the Chicago Transit Authority and Pace complete the transition to the Ventra payment system, paying for public transportation will be as easy as swiping a credit card. Many Chicagoans, however, are critical of the change. CTA and Pace, the local bus service, recently announced that they would completely transition to the Ventra payment system by July 1. Ventra allows riders to pay by tapping a reloadable card, which looks like a debit card, on a sensor. 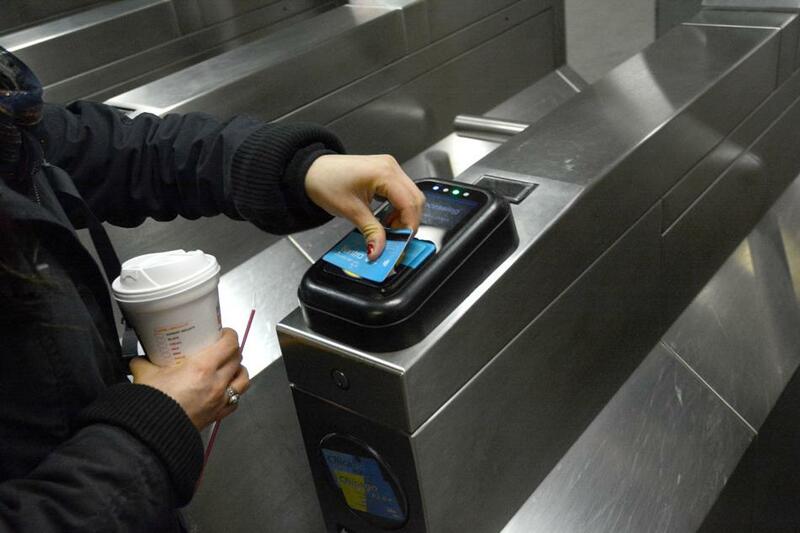 It is the first such completely “contactless” fare payment system in North America. Ventra has already been introduced by both the CTA and Pace. Currently 1.5 million Ventra accounts are active, with 81 percent of CTA riders and 60 percent of Pace riders using the system. “For the last three months Ventra has performed well overall, and is used by more than one million riders each day,” said CTA president Forrest Claypool. However, the public reaction to the Ventra transition has not been as positive. Although people like the more efficient payment method, many have experienced issues when trying to use their Ventra cards. Chicago resident Stephanie Kang, 22, said she likes having one card, but sometimes the sensors don’t read the card when she tries to use it. “You have to keep putting your card there multiple times for it to register,” Kang said. Another CTA rider, Peter Blood, 35, of Rogers Park, said he plans to avoid using Ventra for as long as he can. He initially purchased a Ventra card, but when he used it, it took three tries for the card to register. When he checked his balance later, he saw he had been charged three times. The transition will happen gradually over the next few months. On May 1, riders will no longer be able to purchase magnetic stripe tickets or reload Chicago Card Plus fare cards. On June 1, riders will not be able to reload magnetic stripe tickets or use Chicago Card Plus fare cards. Then on July 1, the transition will be completed, and CTA riders will no longer be able to use magnetic stripe cards and Pace riders paying cash will not be issued a Transfer Card. Ventra cards can be purchased at vending machines located throughout the Chicagoland area and at any one of the CTA’s 145 train stations. The card itself costs $5, but that value can be converted into fare credit if the card is registered online. People can load their card with money at the train station or online, where they can also monitor their account.